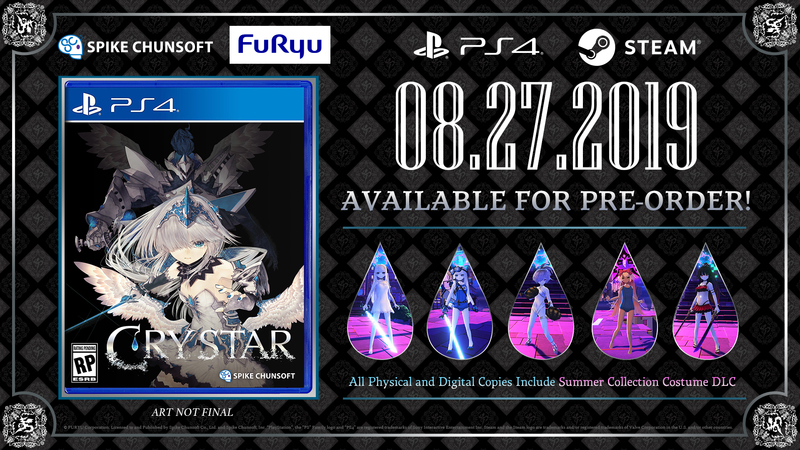 In partnership with FURYU Corp., Spike Chunsoft is thrilled to announce that CRYSTAR is coming to the West on August 27 for PlayStation®4 and Steam®! CRYSTAR will be released in the West fully localized with English text and audio. Watch the announcement trailer here! The standard edition will include the Summer Collection Costume DLC! 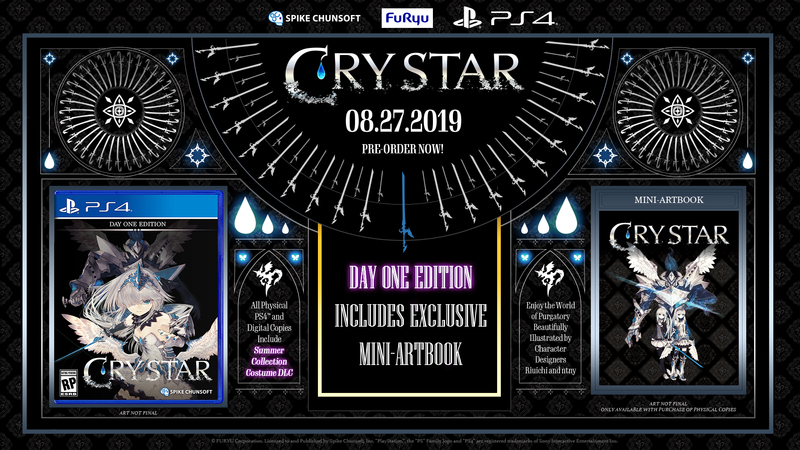 Pre-order now to secure the Day 1 Edition for PS4™, which will include a mini-artbook. Enjoy the world of Purgatory beautifully illustrated by character designers Riuichi and ntny!